Greek yogurt is a 50/50 food. Whether or not someone is going to like it is always hit or miss. Greek yogurt can be tart, funky, and have a not-so-desirable consistency for some, but good news! There are other options out there! 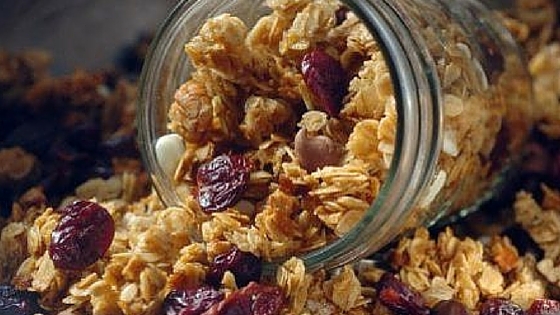 Here are 5 healthy breakfasts that don’t include Greek Yogurt but are still quick, low calorie, high protein breakfast options. 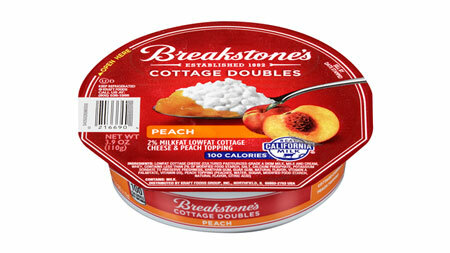 For an easy grab-and-go breakfast, I recommend Breakstones’sCottage Doubles to anyone who enjoys cottage cheese! 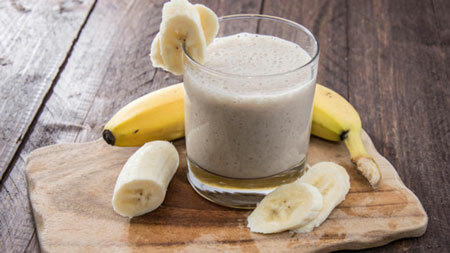 They are only 100 calories and 7 grams of protein, and get you started on your fruit intake for the day. 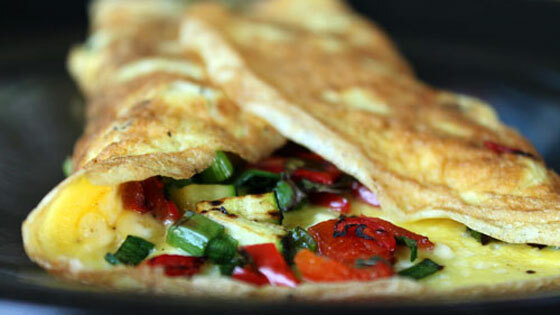 This is my newest breakfast recipe that I am sending to everyone! 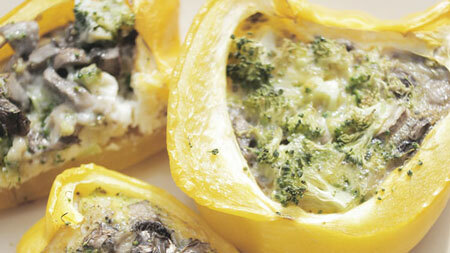 These stuffed peppers are one of the most creative ways I have seen to add veggies into your breakfast! 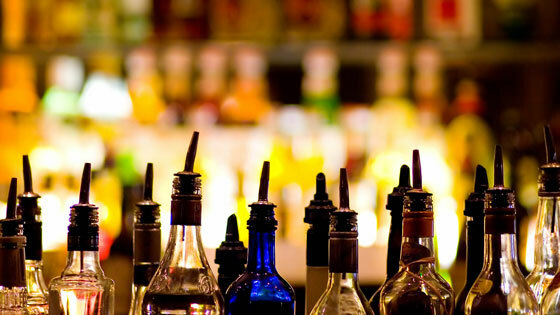 Also, being able to mix it up will help to keep some variety in your routine! Meal-prepping is an important habit to get into to help stay on track with your diet. 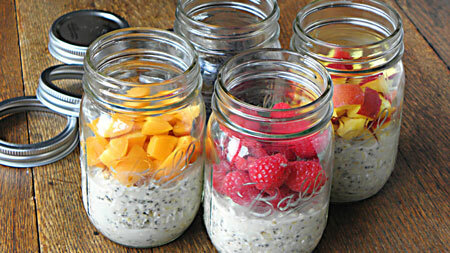 With overnight oats, you can make a week’s worth of breakfast and they can be eating either hot or cold! (And really, anything out of a mason jar tastes better!) 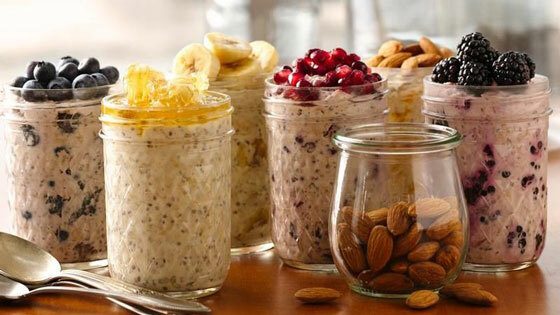 See overnight oats recipes here. 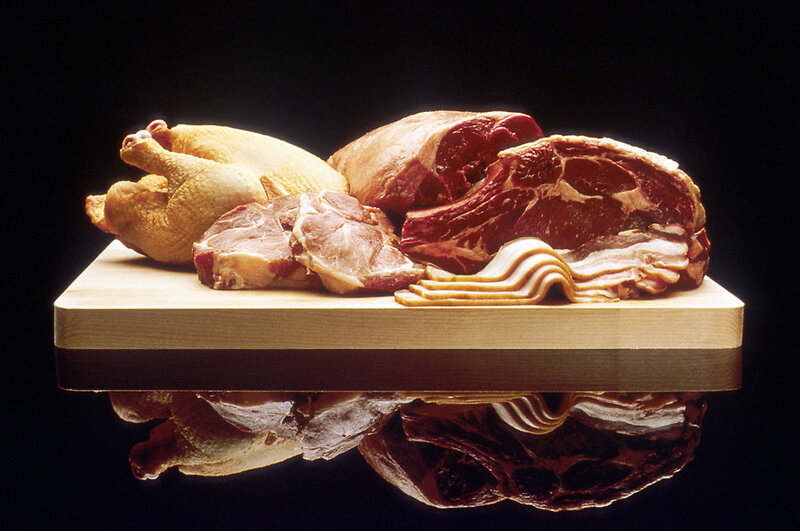 According to the new 2015-2020 Dietary Guidelines, eggs are no longer the bad guys! 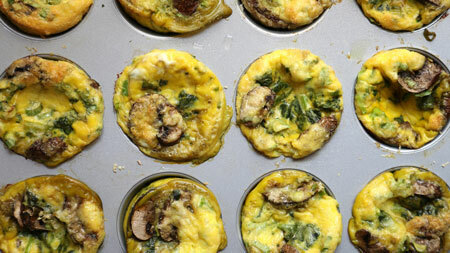 Making these egg muffins in the beginning of the week is an easy way to have breakfast ready to go. Tip: don’t use cupcake liners. I tried that and spent most of the morning scraping the egg out of the liner! Oops! 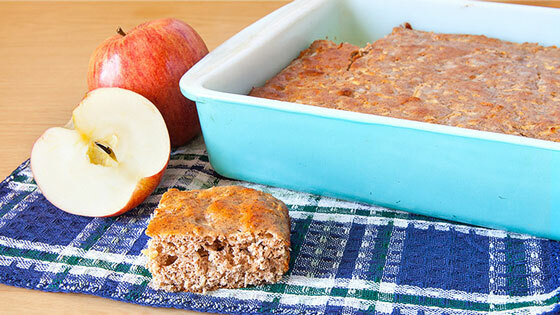 Enjoy these non-Greek-yogurt healthy breakfasts and get a solid (and delicious) start to your day! Written by Rise Coach Annie Grochocinski, R.D. 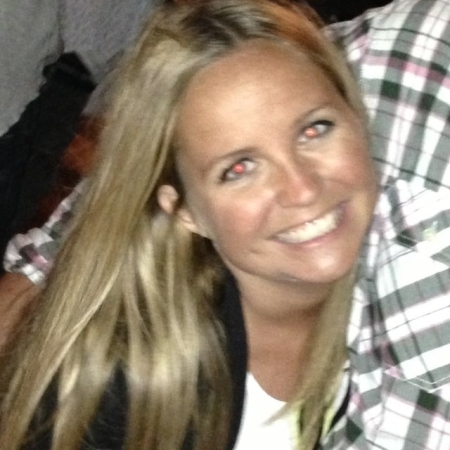 Annie is a Chicago native who believes that food is meant to nourish our bodies and be enjoyable at the same time. She believes that enjoying a healthy diet and everything in moderation is the key to becoming your best self. Learn more about Annie and how to work with her here.